This is the sort of book that can help open eyes, alter thinking and spark change. It thoroughly makes the case that the necessary evolution is not merely one of tactics or even strategy, but something even deeper and more fundamental. Garfield and Levy are bold enough to state from the start that their "immodest goal is to be not merely financially, but something approaching spiritually, transformative." But make no mistake, this is not some fluffy sermon on the importance of caring and tweets; the book's brilliance is in how it ties the need for core mission and new ways of marketing to financial outcomes. The book begins with a damning study of why the practices that succeeded in the Consumer Era are wilting as we enter the Relationship Era. Levy and Garfield probe "the limits of advertising," which does not sustain brands but works only for as long as marketers feed the ad budget beast. As it does time and again, "Can't Buy Me Like" supports its claims with actual case studies and examples; for example, Colorado tourism catapulted from 14th place to first among states as a summer resort destination thanks to a new $12 million ad budget, but it plummeted to 17th place in one year when that ad spend was eliminated. Garfield and Levy are not anti-advertising, but they suggest there is a more sustainable way to collect and keep customers in the Relationship Era. 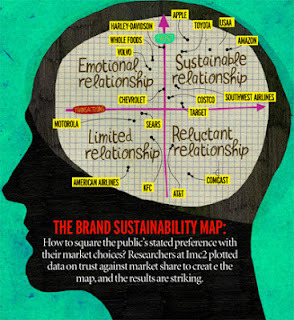 The book introduces the Brand Sustainability Map, which graphs brands on two axes--Transactions and Trust. Sure, your brand can get high transactions with low trust, but these "reluctant relationships" are expensive to maintain and remain constantly at risk. Better to fall within the "emotional relationship" or "sustainable relationship" quadrants (depending upon your transaction volume), which can sustain and expand relationships thanks to high levels of trust. Put another way, "Indifference is expensive. Hostility is unaffordable. Trust is priceless." Social media comes up time and again in this book, but "Can't Buy Me Like" is not a social media manual; instead, it makes the case that social is part of the change occurring around us and not a new tactic to be deployed. "There is no magic in Twitter or any other social-media platform," assert Garfield and Levy, "but there is a sort of magic in properly cultivating trust relationships." Once again, the book makes the case with a brand case study: Kimberly-Clark's Kotex shifted from advertising that perpetuated the stigma of menstruation to adopting a mission that confronts the taboo head on. UbyKotex.com announced, "This is more than a Web site. This is a social movement aimed at changing the conversation," and it garnered four million interactions, received three million sample requests and contributed to an increase in market share from 4% to 7.8%. Need evidence that brand building creates value? BrandPower research on "familiarity" and "favorability" across 800 companies demonstrates that brand equity accounts for 5 to 7% of total equity value for the average company and as much as 21% for the strong brands, such as Apple. Have difficulty believing that corporate purpose matters? The thirty companies identified in Sisodia, Wolfe and Sheth's 2007 book Firms of Endearment as being driven by purpose saw stock increases of 1646% from 1996 to 2011 compared to the S&P average increase of 157%. 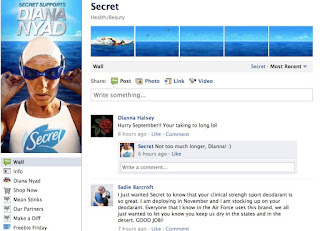 Do you thumb your nose at the small scale of social media compared to the reach of your ad budget? 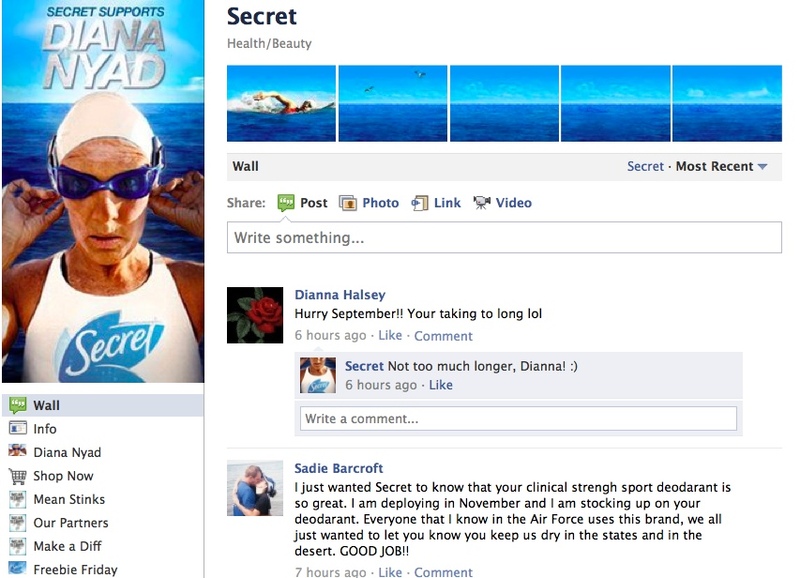 Secret's "Mean Stinks" program launched on Facebook and encouraged teens to apologize for and discuss bullying. The activity created 339,000 text and video engagements yielding 1.3 million placements in users’ newsfeeds. Sound small compared to NCIS's 20 million viewers? Then you do not understand the power of engagement versus passive views of an advertisement. Reports the brand manager at P&G, "In the fiscal year that Mean Stinks launched, total brand dollar share was up 8%. Our Clinical family of SKUs, which were the products associated with Mean Stinks, grew 20% in volume versus the previous year. On our Facebook page, we saw fan engagement increase 24x with the launch of Mean Stinks, and about half of those fans engage with the page on a regular basis." "Can't Buy Me Like" offers a rich vein of these sorts of brand stories and research insights, but it also strives to provide brands with a roadmap to embrace the Relationship Era. The book shares a seven-point plan to help brands move from listening to engaging to leading to measuring. It also shares Do's, Don'ts and "No, really, don'ts." And it conveys the real-life challenges of brands that have lost consumers' trust. I can highly recommend "Can't Buy Me Like." Reading it inspired in me the same sorts of feelings I experienced in my 20s when "In Search of Excellence" aroused a shift in my worldview and career. I think this book can benefit everyone from young professionals (who recognize the world is changing but cannot often connect that to the business outcomes their bosses demand) to senior leaders (who have tired of some of the social media hyperbole but also recognize something profound is changing in the consumer-brand relationship). This is a book you will want to read, quote, share, recommend and buy for others. Visit the "Can't Buy Me Like" web site for more information and to download a free excerpt from the book. Augie, having followed Mr. Garfield for years now, first at Ad Age and lately on a weekly basis at MediaPost, I'm familiar with his arguments and have often pointed to them with respect. Your review of the new book is concise but comprehensive and accurate. I am curious, though, to know if your acceptance of the Garfield view that Trust, above all, is paramount in business success, has caused you to rethink earlier expressed comments that "social media" such as Progressive and others experienced last year have no real, noticeable business downside. Surely if Trust is paramount in the Relationship Era, and if social media is the most obvious (certainly not the only) creator and carrier of it, then loss of Trust played out on social media must have real, noticeable business consequences. What do you think? I have not really reconsidered my comments, which have not been that trust is not important (because it is) but that the impact of social media crises are overstated. My feeling is that brands need to worry more about the daily interactions (in social and in every other channel) that cause consumers to lost trust, but focusing on millions of tiny interactions is difficult. What's easy is paying attention to when a couple hundred or thousand people are all whining in social media about some perceived slight. But, when you look at the business outcomes for companies that suffer through these so-called social media crises, you tend to see very little lasting impact. Why? Because, despite the scale, these events are merely a symptom of something larger and more important, and that's the lack of a caring, customer-service mission and culture that delivers the kind of service, products, content and experience that builds trust. I also think that "crises" tend to involve a couple hundred or thousand people, many of whom are not really customers or prospects, so there's a lot of noise. Take, for example, the recent Applebee's dustup. Sure, a lot of people complained that Applebee's fired the server for posting on the internet a customer's comments on a check, but WHO was complaining? Was it the kind of mature, family-oriented people who eat at Applebee's, or was it a bunch of Millennials who wouldn't be caught dead in an Applebee's? So, my point is not that crises aren't important--they need to be addressed and managed--but that they are just a symptom of a larger issue--one that most brands have difficulty acknowledging and addressing.